The SongwriterUniverse “Best Song Of The Month” Contest honors and publicizes the top songs which are submitted to SongwriterUniverse each month. This contest not only spotlights the winning song and songwriter, but also showcases the Top Five new songs that we hear each month. Many pro songwriters, A&R execs, publishers and producers check out the winning songs each month. The writer(s) of the winning song will be interviewed for a very positive, feature article in our popular SongwriterUniverse online magazine. Dale Kawashima (prominent music exec & Head of SongwriterUniverse) will personally interview (via phone or email) the winner and write the article. The article will include a photo of the winner, streaming audio of the winning song, plus a link to the writer’s website and e-mail address. The winning song & writer (plus their photo) will be announced on the front, homepage of the SongwriterUniverse site. In addition, the four other finalist songs will be spotlighted on the homepage and the contest winner article page, with the names of the finalists and their winning songs, their photo or YouTube music video, streaming audio of their songs, plus their website and e-mail links. Also, the winning songwriter & four finalists will be spotlighted in our widely read, monthly email newsletter. Notably, both the winner and four other finalists will receive prizes (please see below). Each “Best Song Of The Month” article will remain online indefinitely. Our objective is to not only honor the winning songwriters when they first win, but to continually help expose and promote their songs via our website. Important Notes: The Top Five Songs each month will be reviewed by Dale Kawashima, Head of SongwriterUniverse and veteran music publishing and A&R exec. Kawashima has referred previous song contest winners to top A&R execs at record labels and music publishing companies. He also has his own music publishing company, Dale Kawashima Music. However, there is certainly no obligation by any songwriter to consider deals with companies referred by Kawashima. A previous song contest finalist has now become a major star. Grammy winner Meghan Trainor (“All About That Bass” and “Lips Are Movin”) entered our song contest twice, and she was named a finalist both times (In January 2010 & September 2011). We are pleased that a past finalist has gone on to such worldwide success. Also, Christian Burghardt won our song contest in June 2007 as a teenager; he has recently signed as an artist with hitmaker Dr. Luke’s Kemosabe/RCA Records. SongwriterUniverse's songwriting contest was the key to unlocking the door to the industry. A couple weeks after winning the "song of the month", I was offered a single song publishing contract by a major publisher and have received large amounts of fan mail. I feel like it was probably the best 12 bucks I've ever spent. 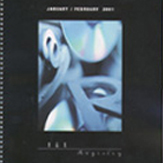 The A&R registry book (which is a prize) is also extremely valuable, listing all the top dogs in the industry. Thanks for opening doors, Dale. THANK YOU, THANK YOU, THANK YOU A manager working with a Grammy Award-winning production team found our song "Nothin' Like Lovin' U" on your website in the past winners section for the SongwriterUniverse Best Song of the Month Contest and used the contact info to email me. It was a pleasant surprise because we were recognized by SongwriterUniverse about 8 months ago. We finished our demo for one of their productions and they loved it. We are now officially working with them and they have worked with several major artists and are doing projects for major labels. 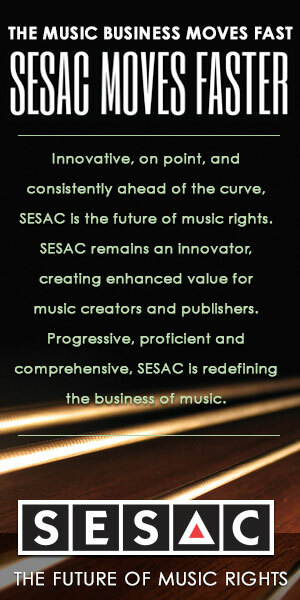 This is great since some of our songwriting team are not musicians and as songwriters are always looking for good music. Now we have amazing music to write to. This is all thanks to you recognizing our talent. Thank you so much for your help. "Entering the SongwriterUniverse 'Best Song' contest was the best investment of 12 dollars. Great press and excellent exposure; I was contacted by booking agents and even a BMG producer to collaborate on a songwriting project." "SongwriterUniverse is an incredible opportunity for singer/songwriters to get great exposure! Dale has a keen ear and gift for discovering talent and if you are featured it can bring amazing credibility and contacts to your career. Being chosen for best song has helped me to meet songwriters/industry people and the wonderful prizes you receive are icing on the cake!! Thanks Dale, you're an angel to songwriters!" 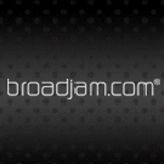 A free One-Year Primo Membership with prominent music site, Broadjam.com Includes full access to their extensive online promotional tools and services. You can build a professional website and post your songs and videos, pitch songs for film/TV & video game placements, sell your songs via their download store, create an online press kit, sell your mechandise, plus many other features. Artists from over 155 countries worldwide use Broadjam to gain exposure and build their careers. The regular cost of this membership is $199.00. A free copy of the highly respected, valuable “A&R Registry” directory (now in PDF form), which lists the contact information for all of the major and top indie record labels throughout the U.S., Canada and the U.K. It includes the names and titles of all the A&R execs, their assistant’s names, their phone numbers, e-mail addresses, and office addresses. The regular cost of this directory is $75.00. A free copy of highly useful “Indie Bible” directory book. 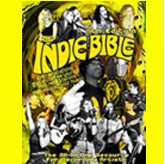 The Indie Bible is a popular resource book for independent artists. This book shows you where to get your music reviewed, your songs played, and your CDs sold. 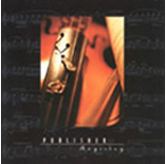 The book contains 320 pages of contacts and music-related articles. It lists thousands of radio stations, music review publications, CD vendors/promoters, MP3 sites, and other resources. The regular cost of this book is $34.95. All genres of music will be accepted for this contest. Each song will be judged on its artistic merit, originality, craft and market potential. Demos do not have to be elaborately produced, but they need to be presented in a professional manner. The entry fee for this contest is $12.00 U.S. for one song. Or, you can enter two songs for $20.00 U.S.
Or, you can enter three songs for $30.00 U.S. or four songs for $40.00 U.S. Please submit your song(s) via MP3, to this e-mail address:[email protected] Please paste your lyrics into the actual text of your e-mail, and not in an attachment. Or, if your song is already available online, just send us the link to your site, and we will go there to hear your song. If your lyrics are not available on the site, please send them to us via e-mail. Upon receiving your mp3 or link, we will email you a confirnation. You will need to pay via credit card for this service – please scroll down to the “Add To Cart” button below to pay online. You can use PayPal or a credit card for payment. Please include your e-mail address in the package.For CDs which are mailed in, you can pay by either check or money order. Please enclose a check or money order in the package, payable to “SongwriterUniverse”. For all submittals from outside the United States, please pay by credit card, or by a money order payable in U.S. currency. If you would like your CD returned, enclose a SASE (self-addressed, stamped envelope). However, we cannot return packages sent to us from outside the U.S.
To pay for the “Best Song Of The Month” Contest (1 song) entry fee via PayPal or credit card, $12.00 U.S., please click the “Add To Cart” button directly below and follow the instructions. Thank you. To pay for the “Best Song Of The Month” Contest (2 songs) entry fee via PayPal or credit card, $20.00 U.S., please click the “Add To Cart” button directly below and follow the instructions. Thank you. To pay for the “Best Song Of The Month” Contest (3 songs) entry fee via PayPal or credit card, $30.00 U.S., please click the “Add To Cart” button directly below and follow the instructions. Thank you. To pay for the “Best Song Of The Month” Contest (4 songs) entry fee via PayPal or credit card, $40.00 U.S., please click the “Add To Cart” button directly below and follow the instructions. Thank you. You can also enter the SongwriterUniverse “Best Song Of The Month” Contest through Sonicbids, the site that helps bands get gigs and helps promoters book the right bands. With a focus on festival, club, and college performances, as well as music licensing and much more, Sonicbids offers a diverse range of gigs for every kind of musician. The deadline for receiving entries will be the last day of each month. Any entry received past the deadline will be eligible for the next month’s contest. All entrants will receive an e-mail reply, confirming that we have received your submittal. However, only the winner and the finalists will be further notified.If you have any questions regarding this song contest, please e-mail us and we will answer your questions.